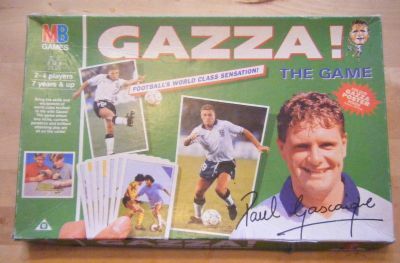 The classic game of Penalty repackaged to cash in on Gazza's popularity. That cheeky chap with his big wide Geordie grin! 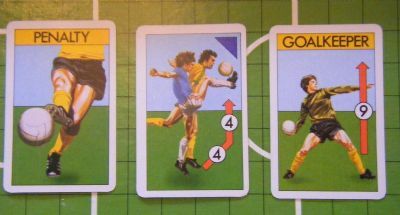 This is Kick Off simply repackaged as Gazza - cards, pitch, ball marker, rules. 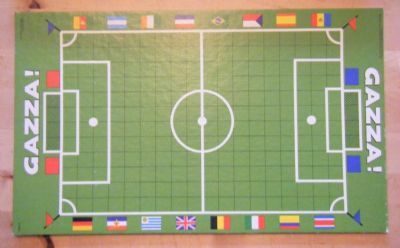 Simple grid style pitch with added corner flag colours. Exactly the same cards as for Kick Off and even right back to Penalty. 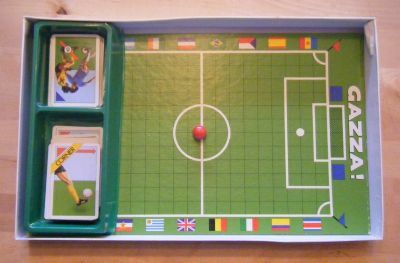 This is still a cracking football game.